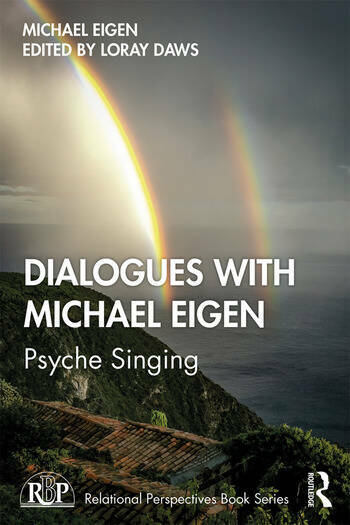 Dialogues with Michael Eigen spans 20 years of diverse interviews and interactions with the acclaimed psychologist and psychoanalyst Michael Eigen published together for the first time, including interlocutors from Italy, Spain, Portugal, Argentina, Sweden, Israel and the United States. This book explores the importance of soul reveries, psychoanalytic "prayers" and cultivation of psychoanalytic "faith" in Eigen’s work. The dialogues lay out Eigen’s privileging of emotions as messengers in need of recognition, as welcoming inner gestures for incubation enabling a deep vitalizing contact of being with oneself and others. Eigen reminds us that struggling with one’s personality remains a life-long task, exposing us to various existential sufferings, agonies, traumas and losses in need of soul confession, if not analytic prayer. The book seeks to help readers find, touch, and work with emotional realities a little better and support a growing intimate, creative relation to ourselves. The rich explorations of the interviews and interactions with Eigen help contribute to further appreciation of our experiential life and worlds it opens. Building on his work on mind-body-soul connections, Dialogues with Michael Eigen is an essential book for anyone interested in the spiritual side of psychoanalysis. Michael Eigen formerly directed an institute program for working with creative individuals at the Center for Psychoanalytic Training and was the first Director of Educational Training at the Institute for Expressive Analysis. He was on the Board of Directors at the National Psychological Association for Psychoanalysis for eight years, first as Program Chair, then editor of The Psychoanalytic Review. In the past 20 years, he taught and supervised mainly at the National Psychological Association for Psychoanalysis and the New York University Postdoctoral Program in Psychotherapy and Psychoanalysis. He gives a weekly private seminar on Winnicott, Bion, Lacan, and his own work, ongoing for nearly 40 years. Loray Daws is a registered Clinical Psychologist in both South Africa and British Columbia, Canada. He is currently in private practice and serves as senior Faculty member at the International Masterson Institute in New York. He also serves as assistant editor for the Canadian Global Journal of Health Sciences, evaluator and international advisory board member for the International Journal of Psychotherapy, assistant editor for EPIS (Existential Psychoanalytic Institute and Society), and both teaches and supervises in South Africa, Australia, Turkey in the psychoanalytic approach to disorders of the self.